Craving some breakfast? How about a yummy order of Hashbrowns? Well if you have a Waffle House nearby, then you are in luck! There is a new printable coupon out good for one FREE regular order of Waffle House Hashbrowns here. Coupon expires 4/16/2010. If you have a Dollar General nearby and use fabric softener then you may want to check your coupon stash!! In last Sunday's (3/28) Red Plum insert there was a coupon for $3 off any 1 Snuggle Fabric Softener. 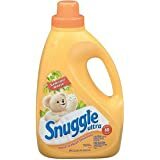 Dollar General has the 60 oz Snuggle Liquid Fabric Softener for just $3.00. So after coupon the bottle would be FREE!!! Can't get any cheaper than that!! This week Target has several kiddie DVDs on sale for just $6.99 each (You can view all the titles in your local ad here)! 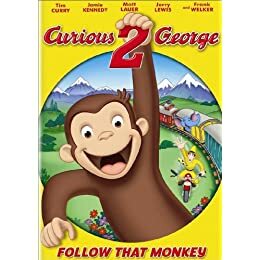 One of the $6.99 DVDs is Curious George 2. Well, on specially marked Curious George 2 DVD cases there is a green sticker that says "Save $5 On Groceries". When you purchase the DVD and get home and open it up there is a code inside that you enter online to redeem for a $5 Grocery Cash Card valid at any grocery store. You'll receive the card in the mail in a few weeks. The DVD for $6.99 is already a good deal...the $5 Grocery Card just makes it even sweeter!! The sale runs thru this Saturday 4/3/2010. Toys R Us: My Little Ponies...B1G1 FREE, Today Only!! 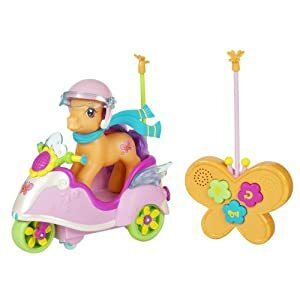 If you have a little girl who adores My Little Pony today Toys R Us is featuring them as their Deal of the Day!! Today only, 3/31 they are offering ALL My Little Pony Playsets and Ponies Buy 1 Get 1 FREE!! No coupon is needed, but offer is valid in-store only. There was a coupon for $5 off various My Little Pony items in the Hasbro coupon insert a few weeks back....match that with this sale and you have a great deal!! 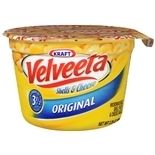 There is a new printable coupon here for Buy ONE (1) Velveeta Shells & Cheese Cup and get ONE (1) FREE (Up to $1.30). Coupon expires 4/28/2010. Walgreens has these on sale this week for $1 each...so after coupon pay just $.50 a cup!! Looking for somewhere to eat for lunch today? Well, if your a fan of Arby's here is a printable coupon for Free Regular Sidekickers with any Combo Meal Purchase. The coupon expires April 5th. Limit one coupon per person per order. The sale at Staples runs thru this Saturday 4/3/2010. There is a limit of 2 per customer, while supplies last only! Offer valid in-store only!! If you are not familiar with Staples Easy Rebate program, click here for how it works!! It very simple to do!! Still have an item or two to pick up for the kiddies Easter basket? Well, if you have not been to Ac Moore lately they have tons and tons of fun thing for the kiddies on the shelves!! 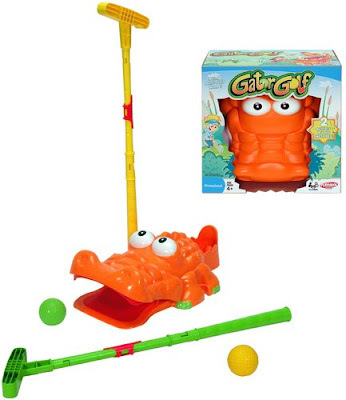 Everything from Melissa & Doug, to board games, to Play doh to activity sets, and more!! Well, there is a coupon here to save 50% off any one single regular priced item now through this Saturday 4/3. Simply click here, enter your zip code, click "get coupon", and print your coupon to take in-store to redeem. Be sure to read the exclusions on the bottom of the coupon in fine print before you head on over!! If you have yet to fill up the kiddies Easter Baskets yet....or need a few gifts for upcoming parties, check out the deals Toys R Us has going on this week with popular Hasbro kiddie board games!!! **There were coupons in last Sunday's Hasbro insert for several of the above games to save even more $$! The sale at Toys R Us lasts thru next Saturday 4/3/2010. Several good buys this week at Shop Rite...check out all the highlights below!! See any other great deals this week at Shop Rite? If you'd like to share a deal, please leave the details in a comment! Now all we need is a sale on Reynolds and were all set!! Thanks to The Coupon Geek for the heads up on these great coupons!! There is a coupon here to save $.30/1 Yoplait Greek Yogurt Cup. Lets you print the coupon twice. Expires 30 days from print date. Plus.....Get a checkout coupon for a FREE gallon of milk WYB 3 boxes, 2 FREE gallons WYB 5 boxes, or 3 FREE gallons WYB 7 or more boxes. Pay just $1.49 a pk. See any other great buys this week at Acme Markets? If you'd like to share a deal...please leave all the details in a comment!! SteinMart: Printable Money Saving Coupons...Valid This Weekend only!! Do you have a Stein Mart nearby? Well, if so this weekend may be a great time to pop in to see what deals you can find! They are having a 12 Hour Sale tomorrow, 3/27...plus there is a printable coupon to save $10 off a purchase of $25 or more, valid today and tomorrow until noon. There are also 20% and 50% off coupons as well. Remember, the coupons are valid today thru this Sunday only. Click here to access the coupons (simply enter your zip code and then hit click here for coupons). Perhaps you have had a meaningful occasion recently...a new baby, a great family vacation, a birthday, and the list goes on. Well, maybe you'd like to put together a nice photo book of the memories? Well, Walgreens ia currently offering 8.5" x 11" Custom Cover Photo Books at 75% off the regular price for 3 days ONLY!! Simply upload you photos, arrange them as you like, then enter coupon code: BOOK75 at checkout for your discount to be applied. You can get started here. Looking for something fun and free for the whole family to take part in this weekend? Well, Michael's is hosting an in-store Family Event....called Spring Thing. Get ready for spring using Crayola Presto Dots. The event is this Saturday 3/27 from 10am-1pm. No registration required, just show up for the fun!! This Saturday, March 27th AC Moore is holding a Thomas & Friends Bunny Make & Take Event in all stores. Stop by your local AC Moore from 1-3 pm so the little ones can make a Bunny Thomas Train!! It's free to participate in, and there is no need to sign up ahead of time either, just show up for the fun!! Have a Blockbuster Express Kiosk nearby? Well if you are not sure, you can click here to find the nearest kiosk near you!! Blockbuster Express works just like Redbox, $1 a night movie rentals. They are now offering Rent Online, Pick up at Kiosk convenience....no more running to the kiosk to find out the movie you were hoping to rent is not available!! Well, if you have a kiosk nearby and would like to try out their newest service, they are offering a Rent One Get One Free coupon code valid now thru 3/31/2010. Simply enter promo code:555G13B at checkout for your discount to be applied. Extra night charges and taxes apply. Limit one per customer. May not be combined with any other offer. There is a new printable coupon here for Buy One Get One Free any one Nescafe Taster's Choice Stick Pack Variety (6-7 ct, to $1.29). There is a new Stayfree Overnights sample here. Only available while supplies last! There is also a printable $1.00 off coupon you can request here.